You say cilantro; I say coriander. Whatever, Calypso makes the cut-again and again. Terrifically prolific, this new variety is slower to bolt than any other coriander available. Fragrant, citrusy herb sparks up salsa, guacamole, sauces and seafood. 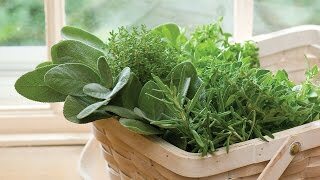 Perfect for your herb garden or mixed container. Cilantro, Calypso is rated 4.9 out of 5 by 12. Rated 5 out of 5 by Jess214 from Very slow bolt We've had an exceptionally hot summer, and despite that this cilantro is doing great! Rated 5 out of 5 by eandrusk from A real money maker! I bought seeds and started last May after the last frost date and kept the pots outdoors. I live at the top of a 3 story city walk-up so wind took the first little clay pot off the balcony. The next batch stayed tied to the railing and really flourish in cooler chicago spring weather. But as the July heat set in and having so many failures with my individual little pepper plants I decided that maybe having the benefit of a larger pot and more moisture would keep the cilantro from drying out so quickly. They did okay in clay for the spring but unless this is the only thing in your garden I got tired of soaking it twice a day to beat the heat. I used the last of my seeds underneTh my rose bush figuring that would kill to birds with one stone (water 2 plants at once) and MAN it WAS successful. The cilantro go big and bushy and I think the rose pot did it a lot of good. It was easy enough to grow on its own, but even easier to grow with another flower. I took a heaping helping of this to a cookout For Carne Asada at the end of August and it was a hit. Highly recommend these seeds. Saved me tons of grocery budget (my cilantro always goes bad in the fridge as I don’t use it fast enough). Big bag for your buck. Rated 5 out of 5 by Tiggnutz from Just as promised This was my first attempt at growing anything and i could not be anymore pleased with the results. July 15th with temps in the high 90's and still going strong. Rated 5 out of 5 by bj49 from Love this! Easy to Grow, Slow to Bolt I have been very pleased with my Cilantro crop this year! This seed grew easily and quickly and has been providing fresh cilantro for over 5 weeks now and still not bolting. Rated 4 out of 5 by Bwright from Easy to grow I grew this from seed on a hot, sunny deck in a stacking planter. It is extremely easy to grow. As long as I kept it watered, it grew with no fuss. This did bolt in the hottest part of the season, but it actually re-seeded the area and new plants grew, so I wasn't too upset about this. Rated 5 out of 5 by ScottMeneely from Great Cilantro This plant got huge and produced a lot before bolting. Very happy with the amount of cilantro from one plant, waiting on coriander seeds to grow in garden now!